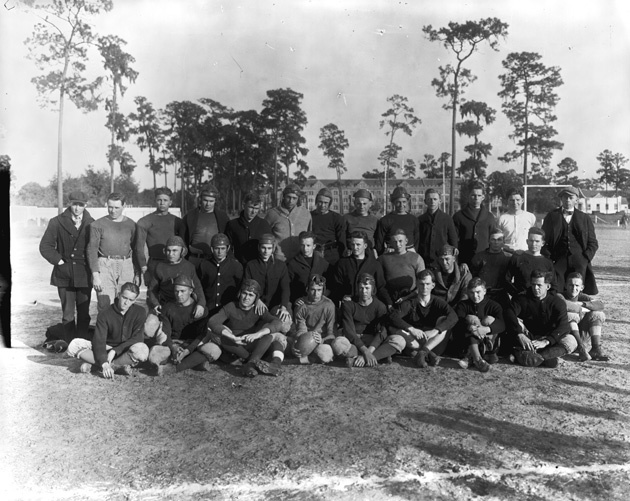 Members of a University of Florida football team photographed with Buckman Hall in the background. Members of football team photographed with Buckman Hall in the background. Photograph 184 from the University Archives Photograph Collection.